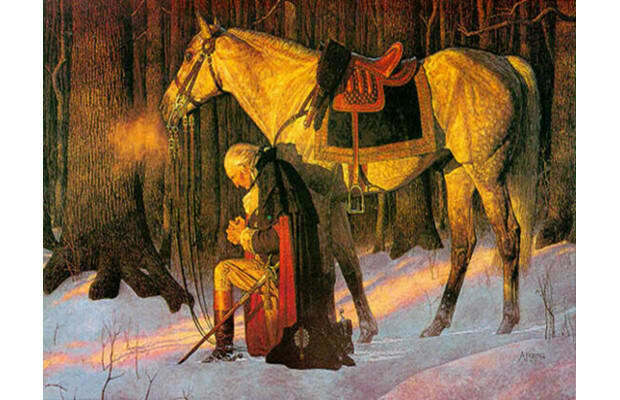 Washington praying next to Nelson before battle. Washington's favorite warhorses, Blueskin and Nelson, both served in the revolution. Nelson was perhaps best liked in battle, as he "stood under fire better" than Blueskin. Magnolia, on the other hand, was a prized Arabian race horse that, by all accounts, the man babied a bit. It did work, though, as Magnolia was known to be one of the fastest horses in America.